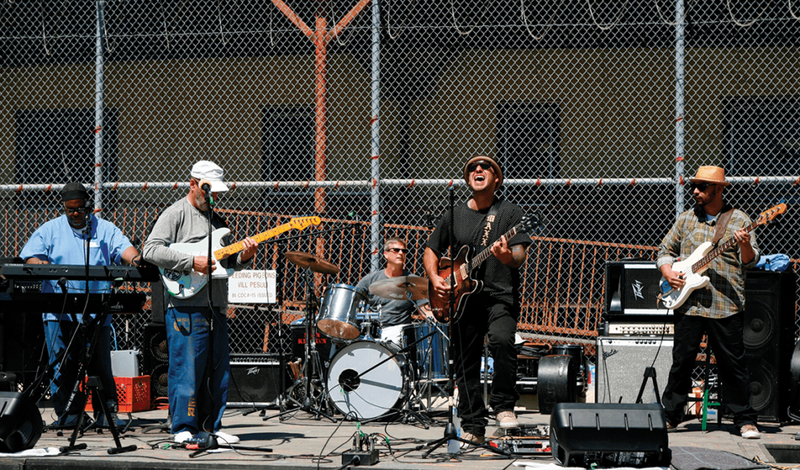 Maxx Cabello Jr.’s guitar wizardry entertained San Quentin’s Lower Yard June 23, as the visiting blues musician and singer debuted his new “Tattoos and Blues” album. 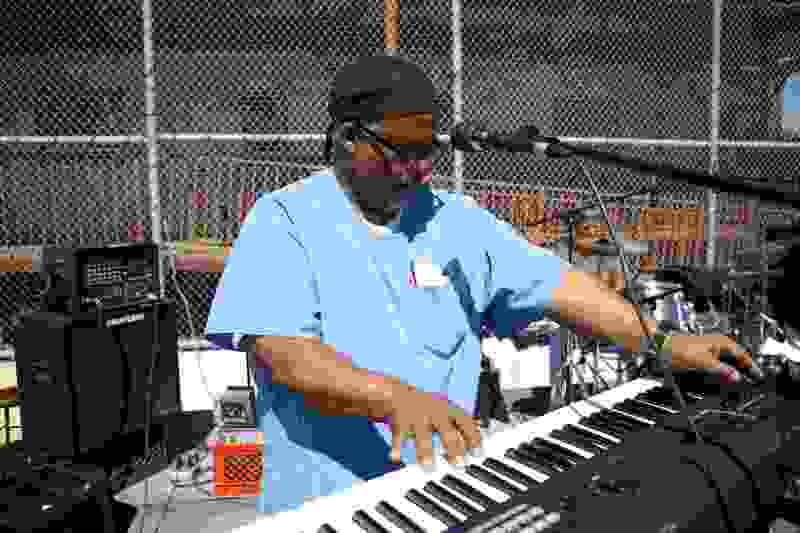 The performer has traveled the world and opened for musical legends like B.B. King and Earth, Wind and Fire. 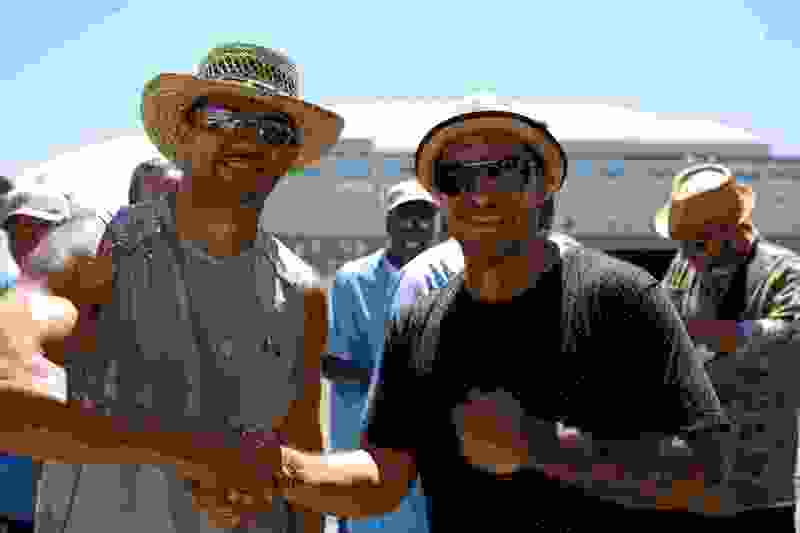 Cabello’s magnetic notes cut through San Quentin’s hyperactive weekend activities ― the usual outdoor workouts and basketball games. 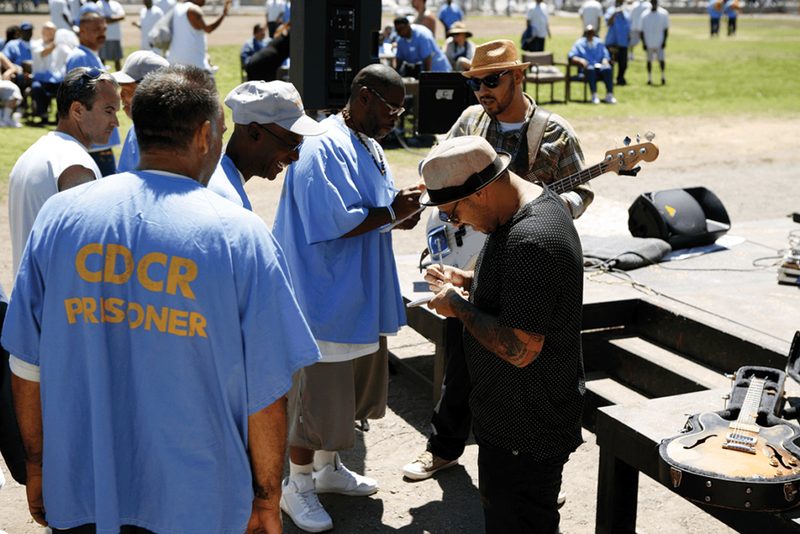 The energetic music drew small groups of prisoners to Cabello on the stage, as though he were the Pied Piper. 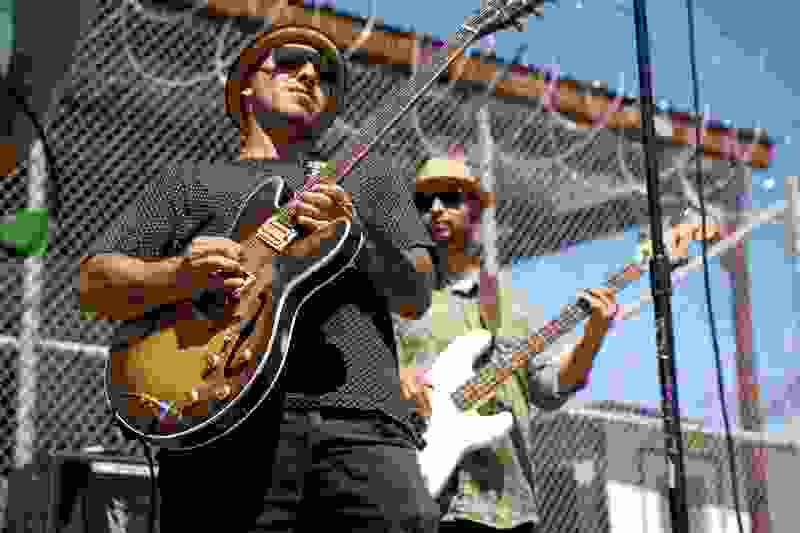 Cabello started his one-hour set with the song “House of the Rising Sun,” accompanied by his brother Alex Cabello on bass and drummer Steward Burr. 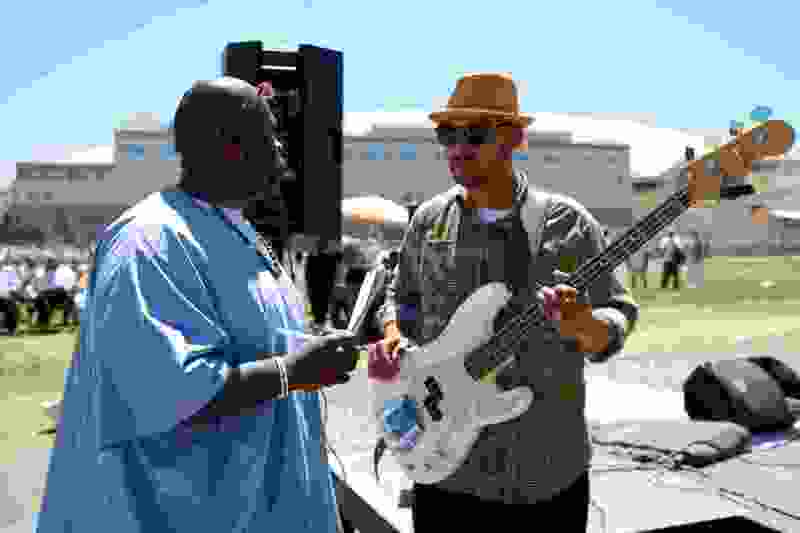 San Quentin’s own Lee Jaspar and Wilbur “Rico” Rogers joined the band and showcased why they are some of the prison’s premier musicians. Jaspar’s guitar playing went string-for-string with Maxx’s skills. Rogers added a spacey sound as he worked the keyboard. Maxx moved from blues to rock with ease as he performed the song “Rock and Roll.” His fingers danced round the guitar frets, creating piercing computer-type sounds. 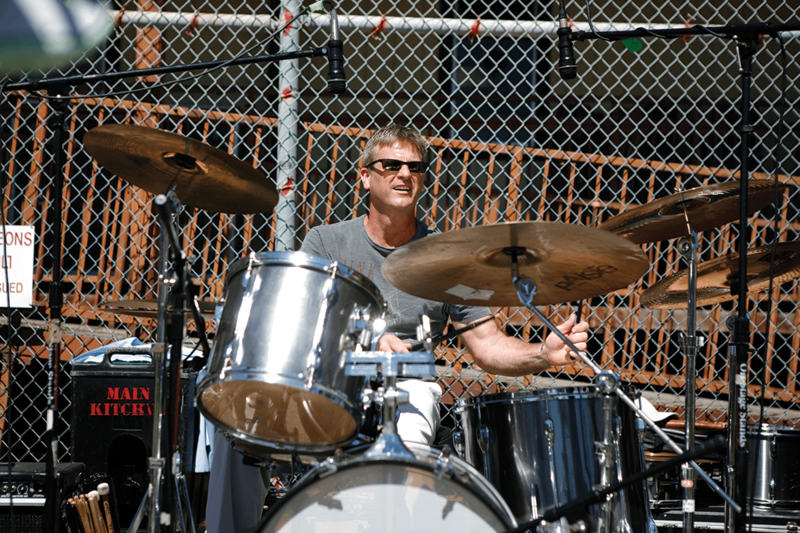 The crowd cheered, stomped their feet and bobbed their heads to the music. One inmate danced uncontrollably to Burr’s drum solo. Maxx and Jasper traded guitar licks and riffs back-and-forth, reminiscent of the movie “Crossroads” where the star battles the devil for his soul. Maxx had the audience singing along to his song “Keep on Pushing.” The record touches on life struggles and the warnings of his mother. Maxx slowed the music down and performed “Tattoos and Blues,” a song about a failed relationship. Maxx then pointed to his numerous examples of body art to the cheers from the crowd. 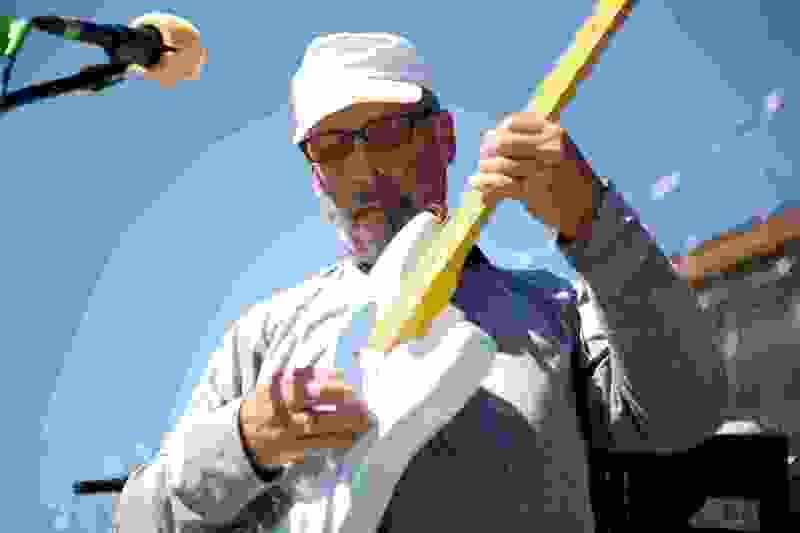 He masterfully ran his fingers up and down the body of the guitar with speed and care. He played the instrument over his head, drawing more applause. Maxx sat down on a stool and played the tune with the guitar in his lap. 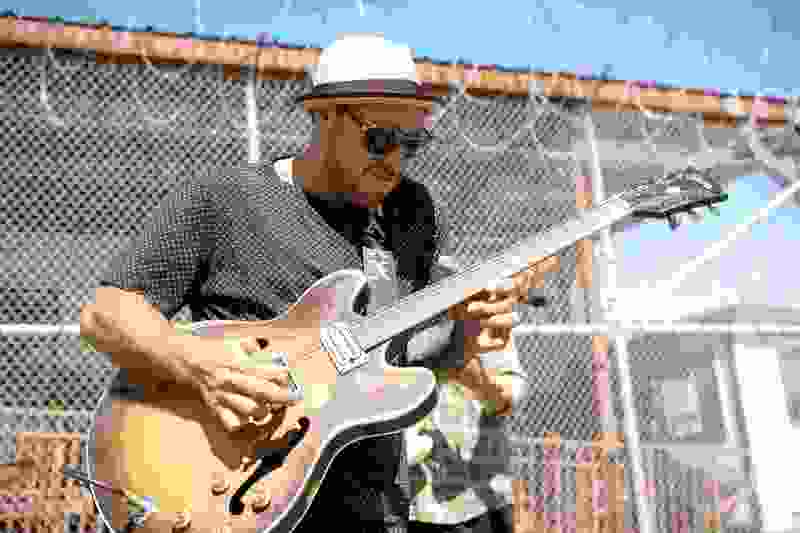 The melody had a New Orleans blues vibe mixed with heavy metal riffs. The crowd swayed back and forth, connecting with each beautiful sound. “Take them to church,” one spectator yelled. Maxx shook hands and signed autographs before leaving. 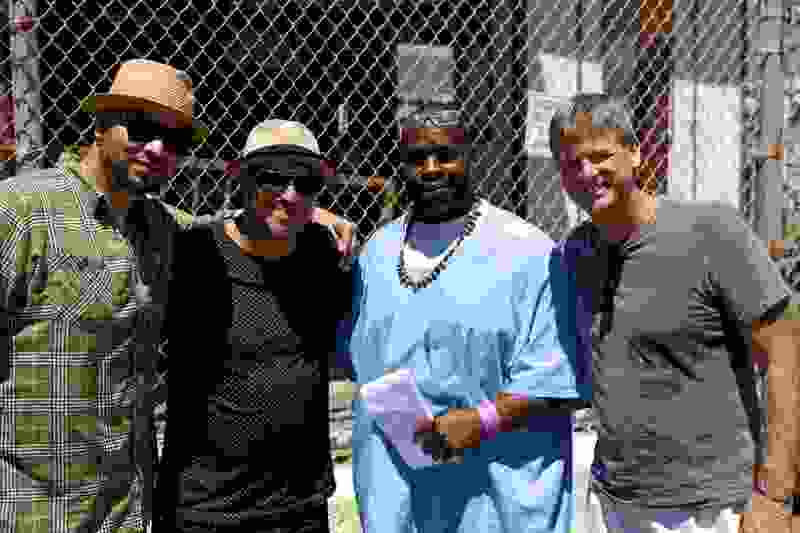 As the group drove away with San Quentin’s music program sponsor Raphaele Casale, the audience could sense the sadness and the joy — that the day had been more than a yard show. It was an experience.